The washer bottle on the Skyline R33 GTST is of a reasonable size, in fact some might say, huge! For me it is annoyingly in the way and takes up space, even with a stainless cover and lid it still looks as attractive as Jeremy Clarkson after a late night and early morning. Casting around for options on changing the washer bottle I looked at various items, ranging from cheap, nasty plastic replacements, overpriced fabricated tin cans and washer 'bags' which looked like they belonged in a hospital! Even if I did plumb (plumb, good choice of words for a washer bottle!) for any of these options they all only had one outlet, so the rear washer would become non-functional. No big deal, but I do like everything to work as it should (even if it is a rare event I use the washers!). Keeping the original washer bottle still seemed the cheapest and best option. The only place it could go would be that cavern of space, the boot. I did give passing consideration to perhaps stuffing it behind the rear panel in the boot, but discarded that as it would be a pain to fill. 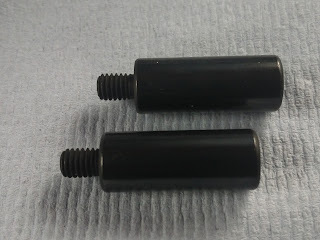 I looked at the left side where the wheel brace fitting is, removing the three bolts that hold it in, although the right side seemed strangely more appealing to me. I could sit the bottle on top of the carpet.. not exactly a thing of beauty even if it is tucked away in the boot and I would loose valuable space. 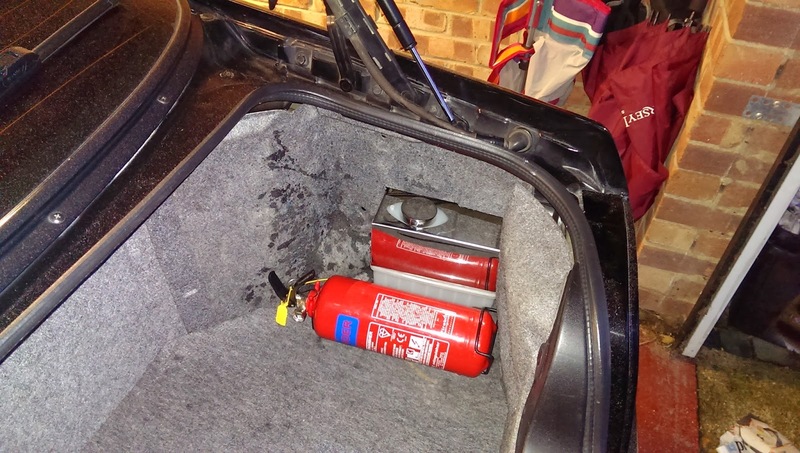 However there is a reasonable amount of space still behind the flimsy side panel trim, fitting the water bottle here would mean that the pumps would be out of sight, the filler still accessible and the boot carpet would tuck underneath it without issue. To mount the bottle securely (as the fixing points would be floating in thin air) I made a paper template out of newspaper, cut some MDF to fit the boot space around the spare wheel cover, extending over the void. Drilled the mounting points and bolted it firmly into position. I then cut a hole in the flimsy side panel with a pair of scissors and dropped the whole lot into place. You will notice from the picture some water marks on the side panel. I live in a ghastly country where it rains, a lot! Naturally I have not actually plumbed it all in yet and am currently working on the wiring. To get the water back to the front screen I will simply use the rear washer pipe and plumb in a new rear washer pipe. That is the theory anyway! Currently at the time of writing I have managed to bring the electrics into the cars cabin and will have the tedious task of hiding them away to get them to the boot space.